While it is of no surprise that Apple’s sales figures declined this year, the earnings report for the holiday quarter which was released on Tuesday has shown few positives as well. 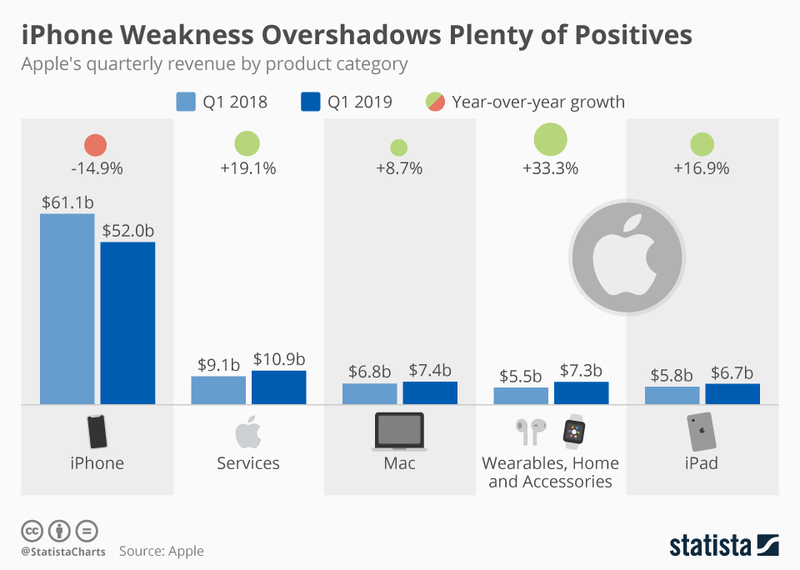 Apple’s this year progress includes a sharp growth in revenue for its new products and how the company has managed to stay extremely profitable despite the smartphone industry crisis. Previously when Apple informed its shareholders about the lower than expected iPhone sales, rumors had it that Apple’s reign will soon be over but what later came out in the earning’s report was completely opposite. From the statistics, it is clearly visible that Apple had the highest earnings per share in its entire history at $4.18 this year. The company continues to be profitable even with impressive growth in iPad and Mac categories too, which were struggling last year. iPhone sales became weak due to a number of reasons which Apple plans to take into account in the following quarter. Factors like increased dollar prices in many developing countries, lower carrier subsidies making iPhones more expensive and Apple’s own battery replacement program together made it more difficult for even Apple fans to buy the new iPhones. That being said, iPhone still drives 60% of company’s total revenue and therefore, even with improvements in sales of Mac, iPad, wearables, home accessories and services, the company had to face a decline of 4.5% in total revenue as compared to the same quarter, last year.